French producer Blundetto’s fourth studio album Slow Dance follows the same recipe as his previous sets – blunted beats, scenic compositions and a wide array of guest artists, including Cornell Campbell, Jahdan Blakkamoore, Ken Boothe, Biga Ranx and Little Harry, who debuted in the early 80s and is probably nothing close to little anymore. Slow Dance comes with a unique and an original soundscape. Blundetto can surely paint vivid sonic pictures and creates his very own musical world with the help of deep bass lines, quirky sounds and strong melodies. Slow Dance is just as the title indicates a swaying slow burner. The beats are sleepy and hypnotic and the album might take a few spins to fully appreciate, but when it hits you, it touches both heart and soul. A magnificent album. 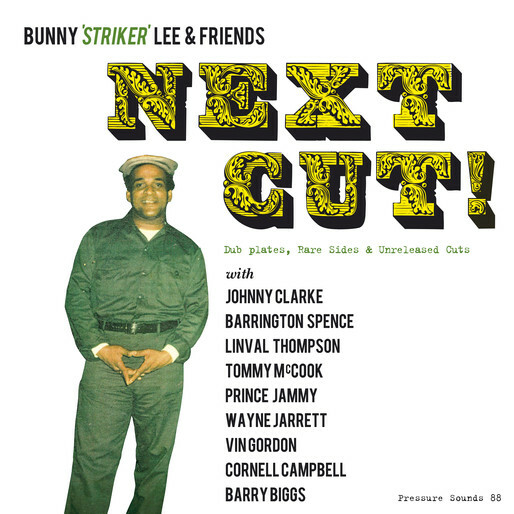 In late June premier UK reissue label Pressure Sounds unleashes yet another compilation with Bunny Lee produced material. This 19 track set (17 on the vinyl version) collects a mix of alternate takes on a number of well-known tracks along with dub plates and few “overlooked” gems. Artists represented on Next Cut are, among others, Johnny Clarke, Tommy McCook and Cornell Campbell. A 10” with four previously unreleased dub versions, produced by Bunny Lee, will accompany the release. Jamaica has produced countless of gifted, versatile and soulful performers and one of my all time favorite singers is the Original Gorgon aka Cornel Campbell. He started his career in the 60s as a member of The Eternals, but rose to prominence in the 70s when recording a number of major tunes for Bunny Lee. Now he’s in the hands of acclaimed U.S. production team the Zion I Kings and together they have recorded another golden nugget in the Cornel Campbell catalogue. New Scroll boasts nine fresh vocal cuts and four dub versions. Most of the tracks carry Zion I Kings’ signature sound – warm with live instrumentation, rich with vibrating arrangements and smooth with a soulful and deep vibe. Cornel Campbell’s voice still sounds remarkably fresh. His emotive and instantly recognizable high tenor is a bit raspier, but it’s still cool as a pair of shades and soothing like aloe on sunburned skin. New Scroll contains catchy melodies, memorable hooks and well-thought conscious lyrics and this album is yet another outstanding release from the Zion I Kings and one of the most distinguished, but sometimes overlooked, Jamaican singers. 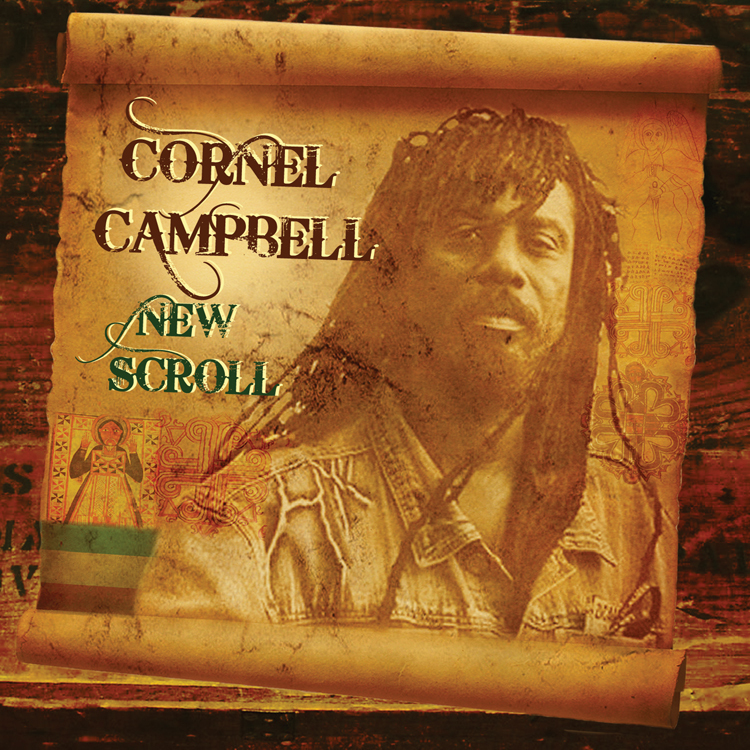 New Scroll is the new album by foundation Jamaican singer Cornell “Original Gorgon” Campbell. In a press release it’s describes as “evoking that timeless sufferah’s sound and spirit of the golden era of Jamaican reggae within a treasure trove of original roots music”. The album bears Zion High Productions’ sweet sound crafted by the Zion I Kings production team – Jah D on bass representing Zion High Productions, I Grade Records’ Tippy I on keys and guitarist Moon, who co-founded the Lustre Kings label and is credited with writing on Snoop Lion’s debut album. New Scroll hits the streets on CD and digital platforms on June 18. 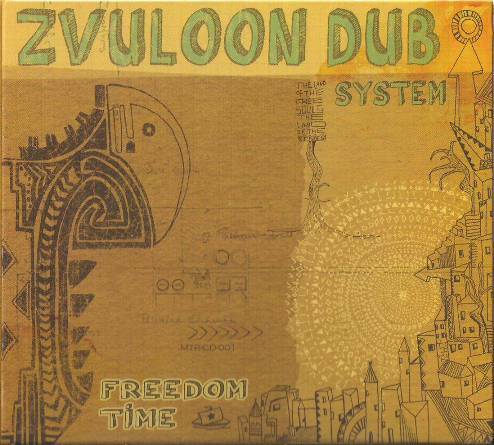 In May last year I received the debut album from a band called Zvuloon Dub System. I didn’t pay much attention to the release at the time, but a few days ago I decided to give it a spin since I received their latest 12” with Cornell Campbell. And I’m glad I gave it that spin. Because Freedom time is a certified show-stopper. Zvuloon Dub System is an eight piece band from Israel. They’re competent musicians and the rootsy and creeping riddims are tight and well-played. The secret ingredient, and the album’s main strength, is however the excellent horn section that is given plenty of space throughout the eleven tracks (ten on the LP version). All but one – a cover version of Jimi Hendrix’ Voodoo Chile – are originals with a sound reminiscent of downtown Kingston in the mid 70’s. Sometimes it’s bright and uplifting, as Tell Me Tell, and sometimes it’s dark and introspective, as in Go Down Moses. But there are also strokes of soul and jazz in the breezy African Drums and several of the songs floats into a dub version. It’s truly a blessing to discover great new acts and dynamite albums, especially when they are as solid as Zvulooon Dub System and Freedom Time. Reggaeartister och producenter har aldrig dragit sig för att kopiera eller förädla andras idéer. Många av musikerna, producenterna och mixarna på 70-talet präglades av en rejäl dos kreativitet och nyfikenhet när det kom till att sno melodier, rytmer eller sätt att spela. Men visst, om något visar sig fungera, varför inte göra en egen variant i reggaetappning. Flying cymbals, eller kort och gott flyers, är en variant av det klassiska one drop-soundet som utvecklades under 70-talet och som fortfarande är högaktuellt. Vissa delar av reggaemusikens utveckling är ofta svåra att härleda till en enskild upphovsman, men faktum är att flyers-stilen har en ensam ansvarig. I det här fallet trummisen Santa Davis. Under sin tid i gruppen The Aggrovators influerades han av den så kallade Philly Bump-soulen, som utvecklats av amerikanska studiogruppen MFSD, och som kom att bli grunden för diskon. Det karakteristiska för flyers är en tydlig hi-hat som följer rytmen på ett framträdande sätt. Tekniken kan närmast beskrivas som en “open and closed” hi-hat. Flyers var producenten Bunny Lees signum och han använde stilen flitigt i sina produktioner mellan 1974 och 1975. Den första låten där flyers användes var Bunny Lee-producerade None Shall Escape the Judgement. Låten skrevs av Earl Zero, men det var sångaren Johnny Clarke som gjorde den känd. Johnny Clarke var endast 19 år gammal när den spelades in, och han följde upp den med flera i samma stil, såsom Move Out of Babylon Rastaman, Peace and Love in the Ghetto och Rock With Me Baby. Johnny Clarke fick dock snabbt konkurrens om att vara kung av flyers-stilen när falsettsångaren Cornell Campbell gjorde entré som soloartist på 70-talet. Det sägs att Bunny Lee först erbjöd None Shall Escape the Judgement till honom, men att han tackade nej på grund av ett bråk om utebliven ersättning från en tidigare inspelning. När Cornell Campbell upptäckte hur framgångsrik låten var, så valde han att spela in en egen version, som så klart också producerades av Bunny Lee. Jag skulle säga att Gun Court Law av Cornell Campbell faktiskt är bättre än originalet, men det beror nog huvudsakligen på att jag föredrar honom som sångare. Flyers-soundet visade sig också att vara ypperligt för dubversioner. King Tubby och Phillip Smart fick exempelvis tillfälle att visa hela sina register på skivor som Dub From the Roots och Rasta Dub 76. Inget är ju för evigt inom reggaen, och flyers fick endast två år innan en annan stil tog vid. Men vad gör det när reggaen under 70-talet hela tiden utvecklades till att bli ännu bättre.